Devon is a county of great beauty, history, culture and contrast, with a huge choice of intriguing places to explore and experience. … it boasts two coastlines, two National Parks, five areas of Outstanding Natural Beauty, a UNESCO Biosphere Reserve, a UNESCO Geopark, and a UNESCO World Heritage Site. It also has two cities, bustling market towns and numerous pretty villages; hundreds of beaches ranging from tiny secluded coves to long stretches of golden sand; ancient geology and fascinating histories as well as leading-edge art, technology and places of learning. 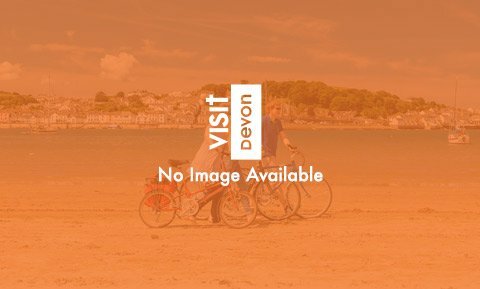 Excellent events attract people all year round, and a whole world of Devon attractions exist simply to bring fun and interest to visitors and locals alike – whether you’re two or 92, and in to farm animals or foraging fungus, as part of an extended family group or on a romantic couple’s break. Visit Devon and you’ll find that there is more to this spectacular and diverse county than you might have thought. In addition to beautiful beaches and stunning scenery, you’ll find rolling hills, historic buildings and ruins, extreme sports and the best in food and drink. With plenty of places to stay in Devon, the most difficult decision you’ll have to make is where in this unique county you want to visit first. Visit Devon’s most famous moor and you’ll discover a world where wildlife, history and culture come together to create unforgettable Devon holidays. Whether you’re planning your summer holidays or looking for somewhere to slip away to in the depths of winter for a romantic break away, East Devon and the Jurassic Coast has something to offer. When asked what they love about North Devon, everyone's answer is different. One thing is constant though: it's the perfect playground for doing what you love. Offering the best of both coastline and countryside, South Devon gives you the chance to choose unspoilt countryside, beautiful beaches or hidden villages and some of the most secluded places to stay in Devon. You’ll find Exeter at the very heart of Devon - a beautiful Roman walled city that seamlessly mixes ancient and modern. As far as maritime history goes, Plymouth is unrivalled. With its rich heritage, outstanding natural harbour and its status as the regional capital for culture, Plymouth is one of the most dynamic and fascinating places to visit in Devon. Visit Exmoor National Park and you'll discover one of Britain's hidden treasures. Wherever you go in Exmoor there are new places to discover.